We've reported on the shelving of the Camaro convertible, but news has emerged the high-horsepower Camaro Z28 variant has been outright killed by the Carpocalypse and GM belt-tightening. Paul Eisenstein at The Detroit Bureau is reporting GM is shelving plans for a 570 HP Camaro Z28. The reason? It would be prohibitively expensive for GM at this time. 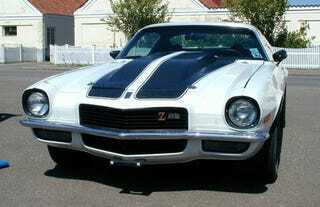 With a program price around $50 million, the Z28 got the axe in favor of other efforts. Read our 2010 Chevy Camaro Test Drive!